Bamboo and rattan can be very strategic resources for South-South cooperation. These plants grow throughout the tropical belt in all continents and have been used for millenia. According to the Food and Agricultural Organization’s 2010 Forest Resources Assessment, there are over 30 million+ hectares of bamboo across the world. As well as being widely distributed, these plants are also very varied: there are over 1600 bamboo species and 600 rattan species. Bamboo and rattan have been used for a huge range of purposes for thousands of years, and other countries can learn from their neighbours on how to make the most of their resources – whether for construction, as a sustainable source of income, for use as energy or as a tool for carbon storage and land restoration. 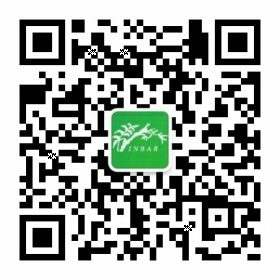 INBAR is the only intergovernmental organisation that promotes the use of bamboo and rattan for environmentally sustainable rural development, and acts as a development knowledge broker for developing countries around the world. Between 1997 and 2017 we have grown from nine to 42 Member States, almost all of which are countries from the Global South. 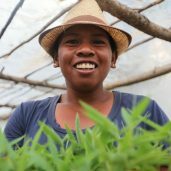 Our work is summarised in a report, ‘Inspiring Sustainable Development with Bamboo’, co-published by the UN Office for South-South Cooperation (UNOSSC) as part of its series: South-South Cooperation in Action. It describes our work at breaking down barriers to sharing knowledge, skills, technologies, and strategies on bamboo resource management and utilisation across the entire INBAR network. This project introduced a method of building earthquake-resilient bamboo housing to Nepal, in the wake of its devastating 2016 earthquake. Latin America has a long history of using bamboo to create durable, cheap structures which can withstand natural disasters. 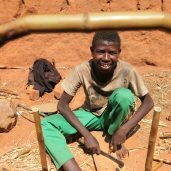 This project is ongoing, and shares experiences of succesful bamboo use across India, Ethiopia, Madagascar and Tanzania. The project has introduced award-winning technologies from India, including a bamboo charcoal kiln, to several countries, and is conducting extensive training on bamboo for environmental protection and livelihoods. This project is using Chinese and Dutch expertise and experience to help realise the potential of Uganda, Ethiopia and Kenya’s abundant bamboo resources. One particularly important area of INBAR’s work lies in our training activities, which have been carried out for 20 years in partnership with a wide range of donors. From 1999 to 2015, China’s Ministry of Science and Technology (MOST) supported training; from 2005, the Ministry of Commerce (MOFCOM) has supported training. Many partners contributed to support MOST training, including FAO, UNIDO, GIZ, USAid, Save the Children, SNV, ICIMOD and more. The content of MOST and MOFCOM training covers a wide range of topics. MOST workshops cover biodiversity conservation, ecological reconstruction, sustainable forest management, non-timber forestry products development, and more. MOFCOM training has covered issues such as sustainable management, cultivation and propagation; bamboo engineered product development; bamboo charcoal and fibre product technologies; bamboo for climate change and more. The impacts of these training sessions are widespread, and many trainees have gone on to influence the conversation about bamboo and rattan at a national and international level. Overall, INBAR has trained somewhere between 15,000 and 25,000 people from across the world – making a significant contribution to the application of global bamboo and rattan knowledge for sustainable development.